In 1932, William F. Ludwig (Ludwig Drums) met with the most prominent drum instructors from all parts of the country at the American Legion National Convention in Chicago. There they formed the National Association of Rudimental Drummers (NARD) devised a practical system of drumming. They adopted set of 13 rudiments that each applicant had to play as a test for membership, and an additional 13 rudiments that would not be on the test. Later the Percussive Arts Society (PAS) adopted another 14 for a total of 40. 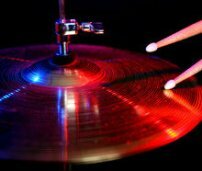 Leave "Drum Rudiments" and Go To "Free Drum Lessons"